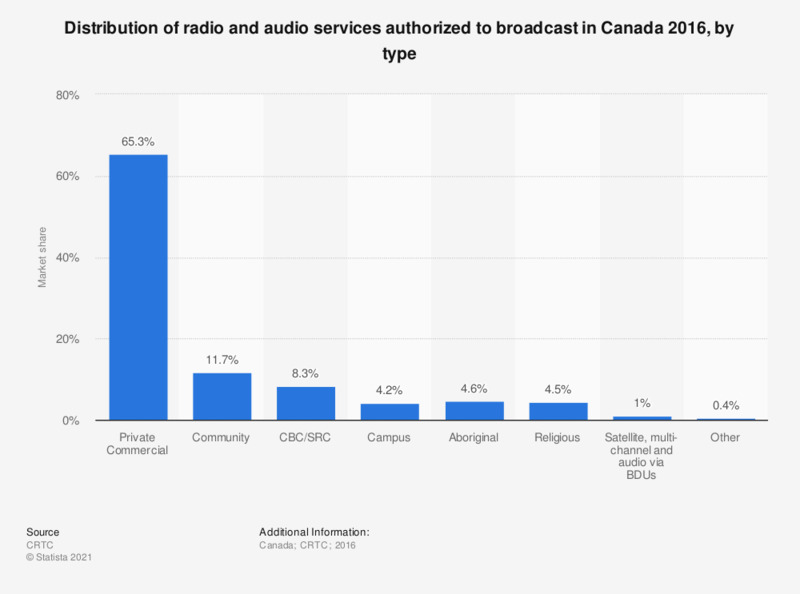 This statistic shows the distribution of radio and audio services authorized to broadcast in Canada in 2016, sorted by type. Private commercial radio and audio services held the highest license share with 65.3 percent, while community radio and audio services placed second with a share of 11.7 percent. To what extent do large associations’ influence the content of Swedish radio and TV?